Harvester Vase rhyton, c. 1500 BCE (Minoan) from Hagia Triada. Steatite. Diameter 4.5″ (11.3 cm). Archaeological Museum, Iraklion, Crete. 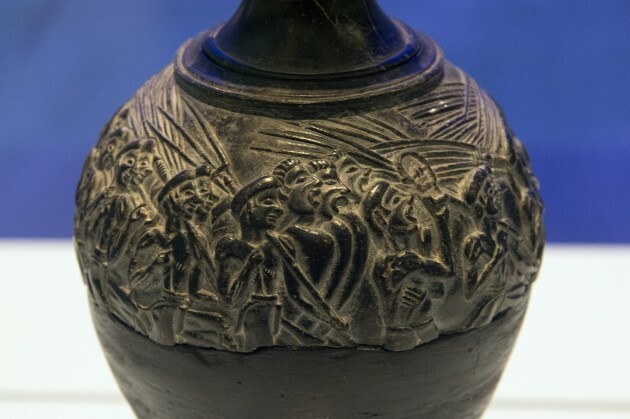 Last week I introduced my ancient art students to the Harvester Vase, and some aspects of our discussion have caused me to do some further research on this vessel. This is a Minoan work of art which comes from Hagia Triada; it is thought to perhaps represent harvesters or sowers in some type of religious procession.1 Even though only fragments of the original vase remain, it is likely that the Harvester Vase had a hole at the bottom (in addition to the wider “filler” opening at the top), so that liquid could “flow through [it] like a funnel.”2 This small hole at the bottom could be covered by the hand of whoever was carrying the vessel during a ritual or procession, and then the hand easily could be moved away to dispense the liquid libation or offering. “Unrolled” image of the Harvester Vase relief, to show detail of procession. c. 1500 BCE (Minoan) from Hagia Triada. Steatite. Harvester Vase detail, c. 1500 BCE. This vase is quite small, being only 4.5″ (11.3 cm) in diameter. However, there are so many details to notice in this small space, which make the artistry and craftsmanship all the move impressive to me. Recently I’ve found a few things that I haven’t noticed before. 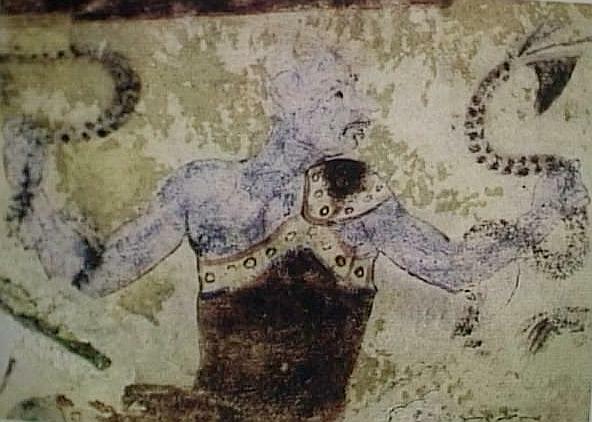 One thing that I realized is that many of the participants have one fist raised to their chests, which is a gesture that has been connected with ritual (see above).5 Barry P. C. Molloy also points out that this gesture is found in figurines of boxers that are located on Minoan peak sanctuaries, and could be associated with physical combat and warriors.6 Given the context that the Harvester Vase is also a rhyton (used for libations and religious ceremonies), the association of the clenched fist with ritual makes more sense to me. Another thing that I noticed recently was the clothing and the hair styles of the figures. 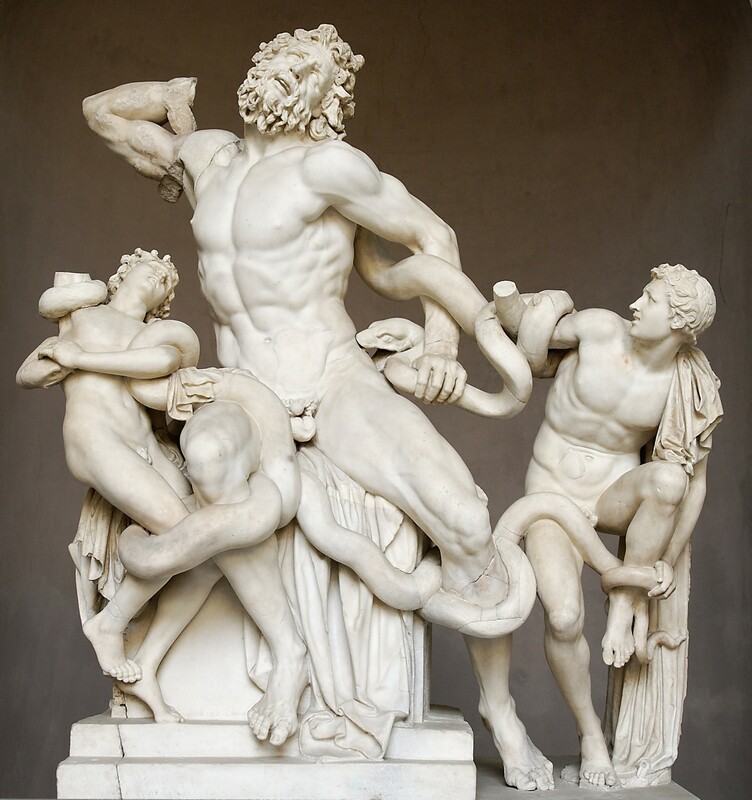 Most of them are bald, wearing a cap or headband, and are bare-chested (sometimes exhibiting a keen attention to musculature and anatomy on part of the sculptor). However, the three figures who are singing (behind the man who is playing the sistrum) are wearing long robes, unlike the rest of the bare-chested marchers. Of course, these men still seem less significant than the large priest-like figure who seemingly marches in front of the procession, who has long hair and wears an elaborate tasseled garment. 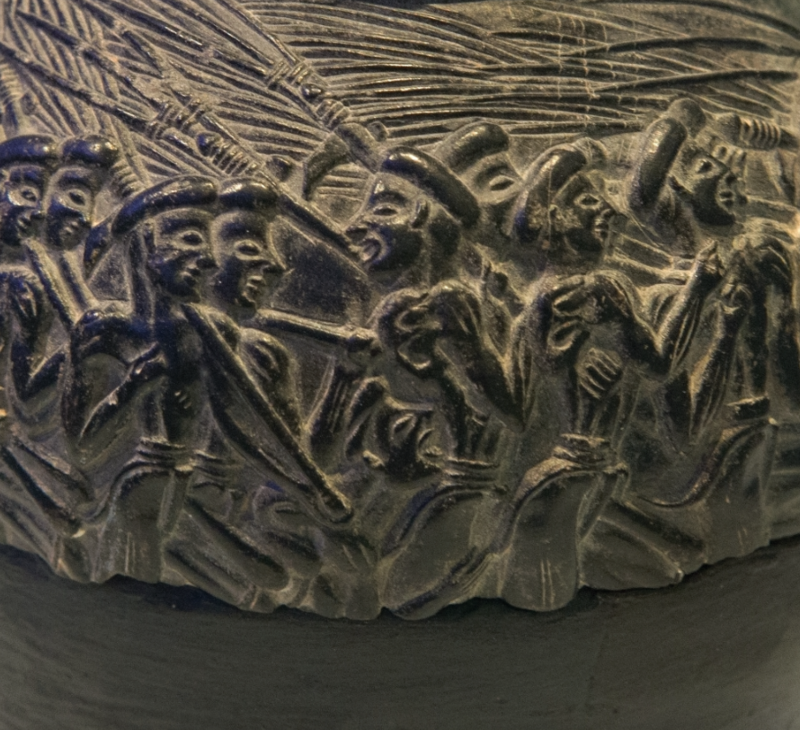 Detail of the Harvester Vase relief, to show detail of procession. 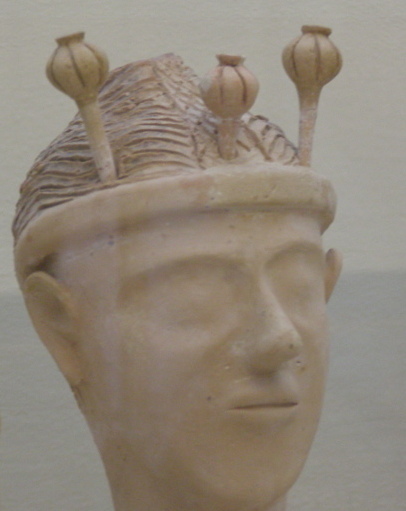 c. 1500 BCE (Minoan) from Hagia Triada. Steatite. John Forsdykh argues that the one exception to the solemn procession is a man who has turned backwards to shout at a man who is stooping or stumbling. Forsdyke explains, “That man is usually said to be one of the harvesters who is fallen down in his drunkenness; but he has no forked implement and there is no reason to suppose that he is drunk.”7 Forsdyke, however provides no explanation for why the man is stooping. I’m not entirely convinced of the shouting exchange between the turned man and the stooping man either, since they are directly placed over the same vertical axis and there isn’t even a suggestion of eye contact between the two figures. Could the turned man be shouting orders or directions to the solemn, closed-mouth harvesters who stand directly next to him instead? Perhaps we would get a better suggestion of what was happening in this vignette if we were able to see the whole vase. Maybe we would also get a better indication of why one of the men is either stooping or stumbling – did something on the ground trip him? Other people have also considered how our understanding of this vase is limited due to its incomplete state, too. For example, tn the early 20th century, a father and son artistic team (Emile Gilliéron Sr. and Emile Gilliéron Jr.) set out to to create an object which imagined the original appearance of the Harvester Vase. 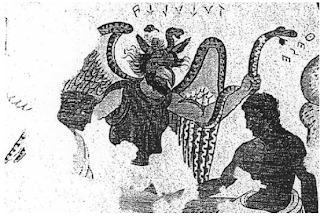 The Gilliérons specialized in creating reconstructions of antiquities for sale and were able to profit over the cultural interest in Minoan art following Sir Arthur Evans’ excavations. Unfortunately, though, I can only find one image of this Gilliéron vase (see below,) and it doesn’t include the scene with the stooping man, so I don’t know how they interpreted this vignette in the overall scene. 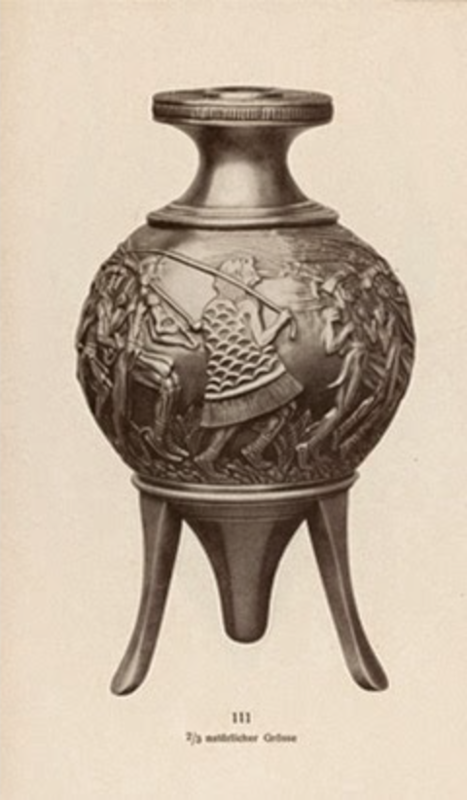 The Gillierons’ restored version of the “Harvesters’ Vase,” early 20th century. 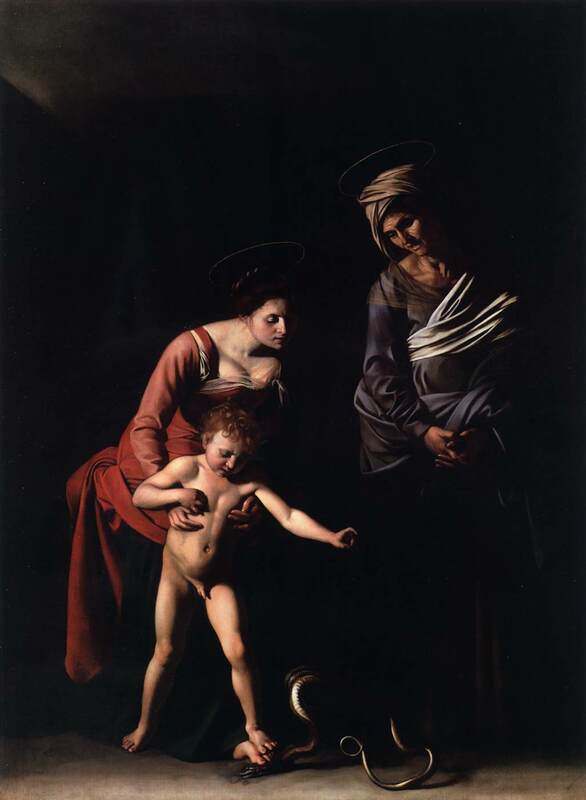 I like this image of the Gilliéron restoration, though, because I like being prompted to think about the legs of the figures who would have been energetically marching in the procession. I’m even reminded how some of the curves and angles are made for practical purposes (such as how the tilt of the priest’s kilt is likely due to a raised leg in motion). 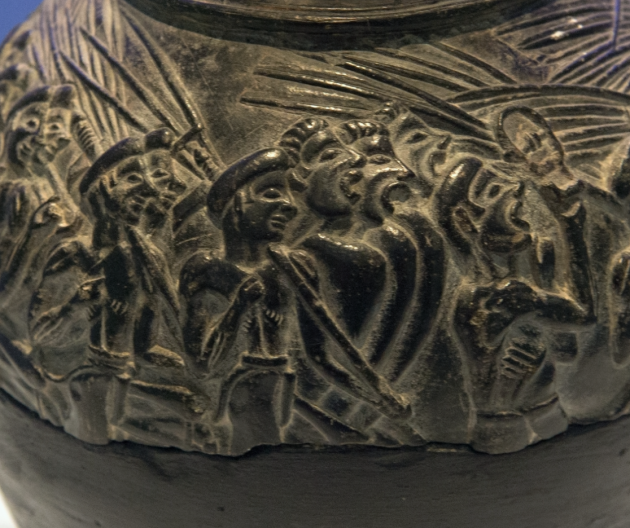 It is common today to discuss how the Harvester Vase depicts a sense of dynamic energy and movement, but it’s easy to forget that the sense of movement that is only a portion of what would have been seen on the intact vase in antiquity! 1 For a synopsis on interpretations of the vase in relation to harvesting or sowing, see Wendy Logue, “Set in Stone: The Role of Relief-Carved Stone Vessels in Neopalation Minoan Elite Propaganda,” in The Annual of the British School at Athens 99, (2004): 165-166. Logue mentions that the long poles carried by the marchers were interpreted by Müller as harvesting tools for fruit in trees (such as olives), whereas Forsdyke proposed that this was a ritual that took place before sowing. 3 Peter Warren, Minoan Stone Vases (Cambridge: Cambridge University Press, 1969), p. Available online HERE. 6 Barry P. C. Molloy, “Martial Minoans? War As Social Process, Practice and Event in Bronze Age Crete,” from The Annual of the British School at Athens 107 (2012): 110. 7 John Forsdyke, “The ‘Harvester’ Vase of Hagia Triada,” Journal of the Warburg and Courtauld Institutes 17, no. 1/2 (1954): 2. Bull's-Head Rhyton, c. 1550-1450 BCE (Minoan). Steatite with shell, rock crystal, and red jasper. The gilt-wood horns are restorations. Height 12"
This past quarter, one of my ancient students did a research project on the Minoan rhyton of a bull’s head (found at the Archaeological Museum in Crete). This student found an article by Jeremy McInerny in the Winter 2011 edition of Penn Museum’s Expedition magazine (.PDF link). 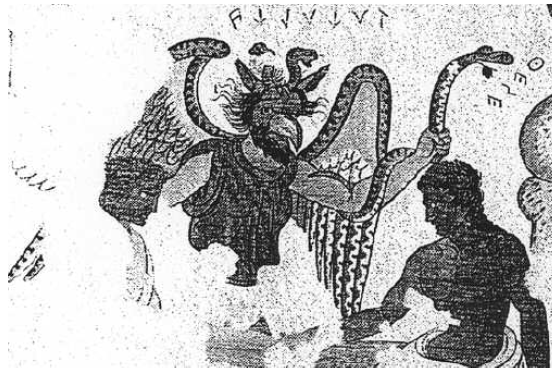 This article, which is dedicated to the imagery of bulls and bull-leaping in the Minoan world, had some interesting information about this rhyton. 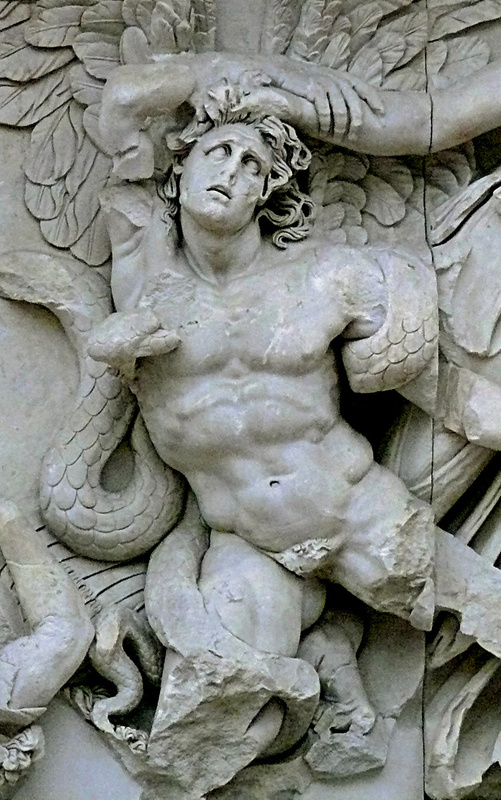 The bull long fascinated ancient cultures, and I like this connection between the bull rhyton and animal sacrifices. 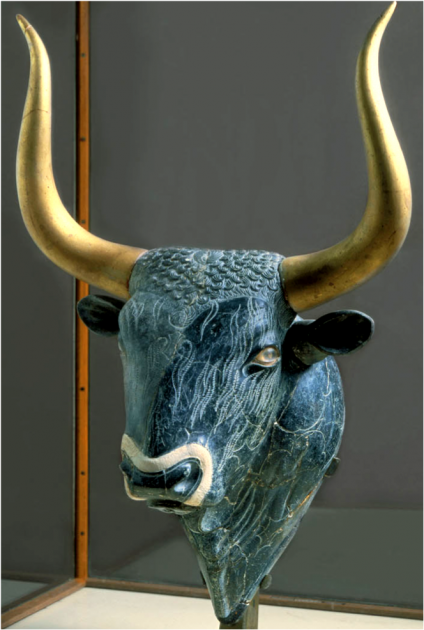 I like to discuss with my students how this Minoan bull looks much more naturalistic than the representations of bulls which previously were created in the ancient Near East (such as the Sumerian bull’s head lyre). Given this argument about how rhytons were “portraits” of bulls that were symbolically slaughtered, I think that this emphasis on naturalism is quite appropriate. Perhaps the naturalism would have heightened not only the act of the “second” ritualistic killing, but also would have better represented and embodied the power of the bull itself. Various (mostly) prehistoric “Venus” figurines. (1) Willendorf’s Venus (Rhine/Danube), (2) Lespugue Venus (Pyrenees/Aquitaine), (3) Laussel Venus (Pyrenees/Aquitaine), (4) Dolní Věstonice Venus (Rhine/Danube), (5) Gagarino no. 4 Venus (Russia), (6) Moravany Venus (Rhine/Danube), (7) Kostenki 1. Statuette no. 3 (Russia), (8) Grimaldi nVenus (Italy), (9) Chiozza di Scandiano Venus (Italy), (10) Petrkovice Venus (Rhine/Danube), (11) Modern sculpture (N. America), (12) Eleesivitchi Venus (Russia); (13) Savignano Venus (Italy), (14) The so-called “Brassempouy Venus” (Pyrenees/Aquitaine), (15) Hohle Fels Venus (SW Germany). 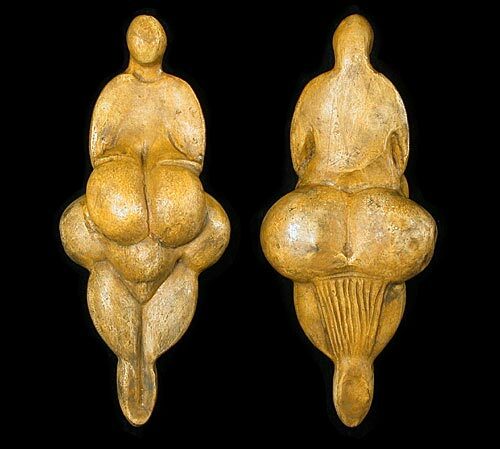 Image from article, “Venus Figurines of the European Paleolithic: Symbols of Fertility or Attractiveness?” by Alan F. Dixson and Barnaby J. Dixson (2011). 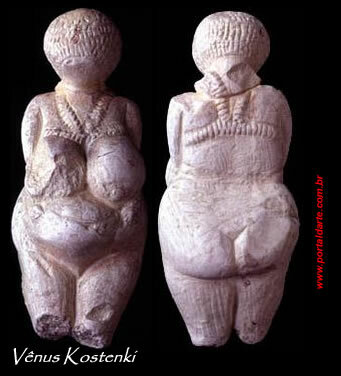 Yesterday I had a student ask about the excavation sites for so-called “Venus” figurines from the Paleolithic period. This student wondered if the physical location of the site (or the other objects excavated at the sites) could give us more understanding about how the “Venus” figurines originally functioned. I thought this was a great question. Although I knew that some figurines were found in caves or domestic sites, I thought that I would find more information about the specifics regarding the excavation sites and findings. I didn’t find nearly as much information as I had hoped (there may be more information hidden away in technical archaeology journals), but I did pull together a few interesting finds. It is interesting to see how several figurines are associated with domestic sites or found alongside animal bones. Would these bones have been food for these people or sacrifices for religious rituals? Perhaps both? 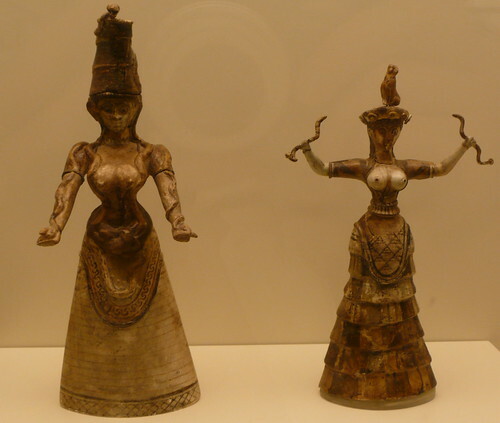 Other female figurines are found in caves, sometimes with other objects and animal bones, too. I know that the following list isn’t comprehensive by any means. (I also threw a Neolithic and a Minoan female figurine in the list, just to make things fun.) I plan on adding to this list as I come across new information and findings. If you want to add a another figurine to the list, or more details regarding the excavation of these figurines, feel free to leave a comment! Photograph of the Hohle Fels Cave. 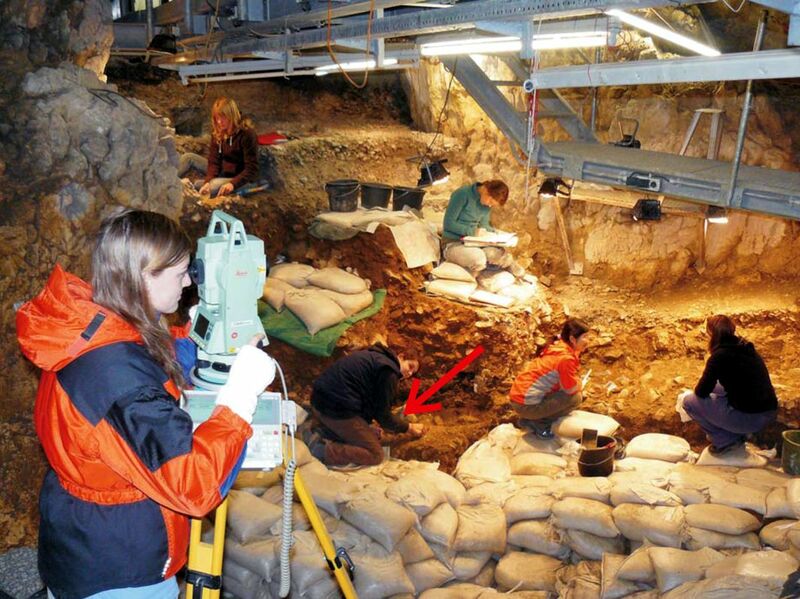 Red arrow indicates where the “Venus” of Hohle Fels was discovered in September 2008. Venus of Hohle Fels (at least 35,000 BCE) : Excavated in September 2008 in the Hohle Fels cave in Germany (see image above). 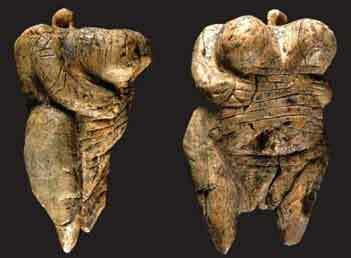 The figurine, which was carved from a mammoth’s tusk, was discovered in six fragments. A flute was also discovered at this site, which currently is the oldest known instrument in the world. Venus of Dolní Věstonice (29,000 − 25,000 BCE): Discovered in 1925 in a layer of ash. The figurine was broken into two pieces. Figures of animals, as well as 2,000 balls of burnt clay, have been found at the Dolni Vestonice site. The majority of these finds were located at the dugout of central fire pit at the site. 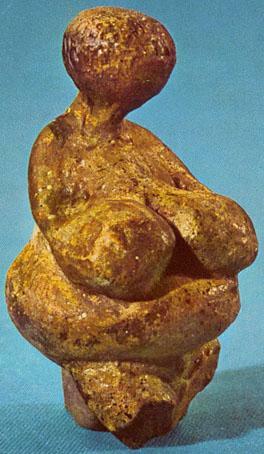 Venus of Laussel (20,000 − 18,000 BCE): Discovered in 1911 by physician J. G. Lalanne. The figure is found in a rock shelter, carved onto a piece of fallen limestone. Venus of Willendorf (28,000 − 25,000 BCE): Excavated in 1908 by Josef Szombathy in a loess deposit (fine-grained material that has been transported by the wind). More technical information about the excavation and layer deposit is found here. “Venus II” from Willendorf (see suggested reconstruction here): Discovered in 1926 by Joseph Bayer. This figurine was found in a pit, lying on top of the jaw of a mammoth. This figurine is probably older than the “Venus of Willendorf.” The deep pit where “Venus II” was found went from level nine to level five. 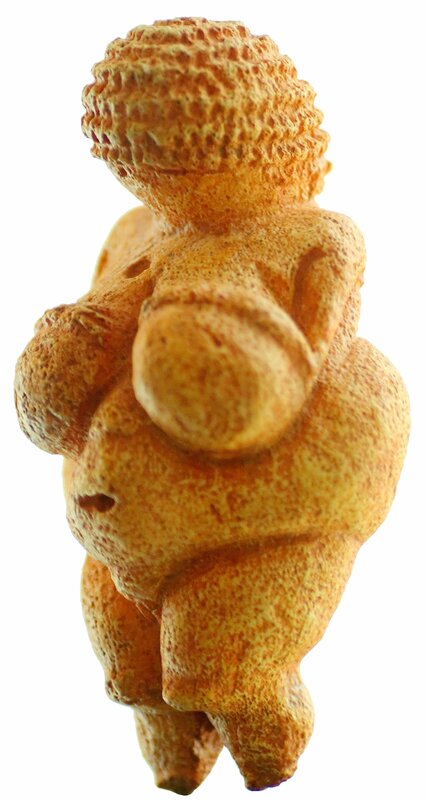 The original “Venus” of Willendorf was excavated at level nine. Venus of Brassempouy (c. 23,000 BCE): Discovered in 1894 in Pope’s Cave (Brassempouy). The figure was discovered with at least eight other human figures. There has been some confusion with the chronology of the site findings, since the site was pillaged and disturbed beyond recognition by a group of amateurs on a field trip in 1892. Venus of Lespugue (24,000 − 22, 000 BCE): Discovered in the cave of Lespugue in 1922. 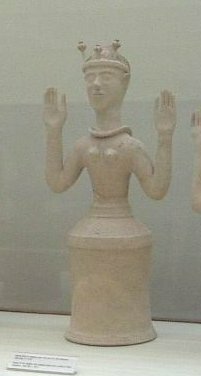 Gagarino Venus (c. 20,000 − 1,700 BCE): Excavated between 1926-1929. These figures were found in a house pit. The walls of the pit were lined with rhinocerous and mammoth bones. 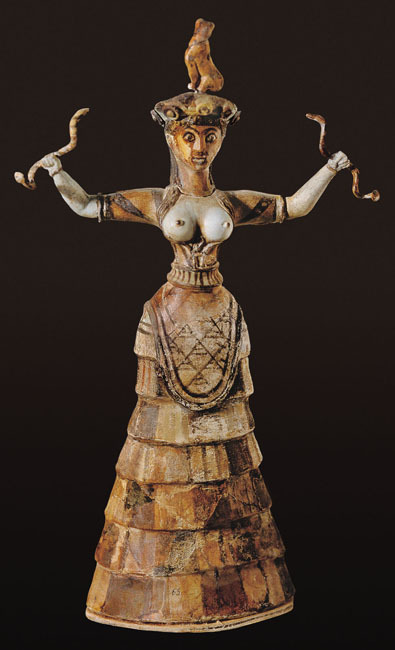 Kostenki Venus (23,000-21,000 BCE): This term is actually a misnomer (beyond the already-problematic nickname of “Venus”) since there was a group of “Venuses” discovered at this site. 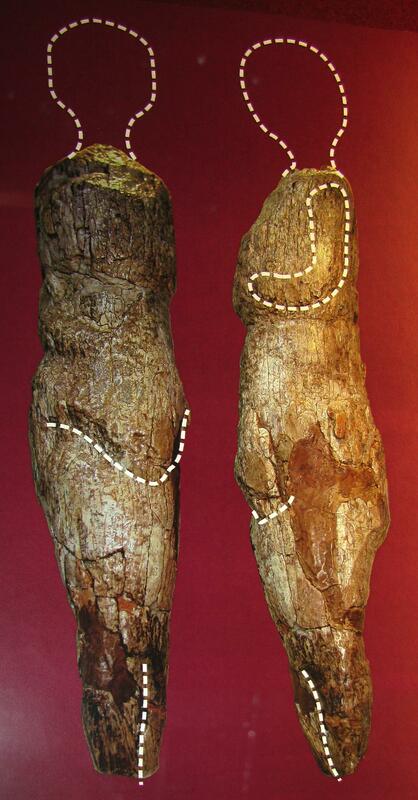 The most famous one, however, is an mammoth-bone statuette discovered in 1957 by Zoya A. Abramova. Kostenki refers to 20 Paleolithic sites along the Don River in Ukraine. Seated Mother Goddess of Catal Huyuk (7th century BCE): Excavated from the upper levels of the site by James Melaart in 1961. Figurine was found in a grain bin. Minoan “Snake Goddess” (c. 1600 BCE): Discovered in 1903 by the British archaeologist Sir Arthur Evans. 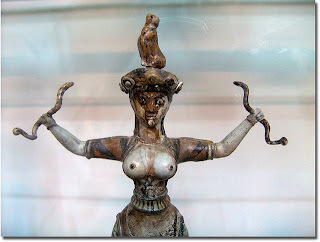 One of the “snake goddess” figurines was located at the “palace” of Knossos in a cist (repository) on the floor of a small room (near the “Throne Room” and “Room of the Charior Tables”). Sir Arthur Evans believed that this snake goddess (and the other objects found in the cist) formed part of a cult shrine. 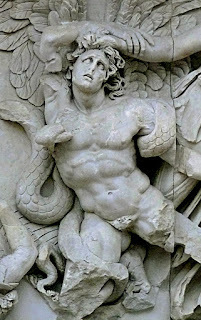 Evans identified the figurine traditionally identified as a “Snake Goddess” in art history textbooks as a votary of the snake goddess.